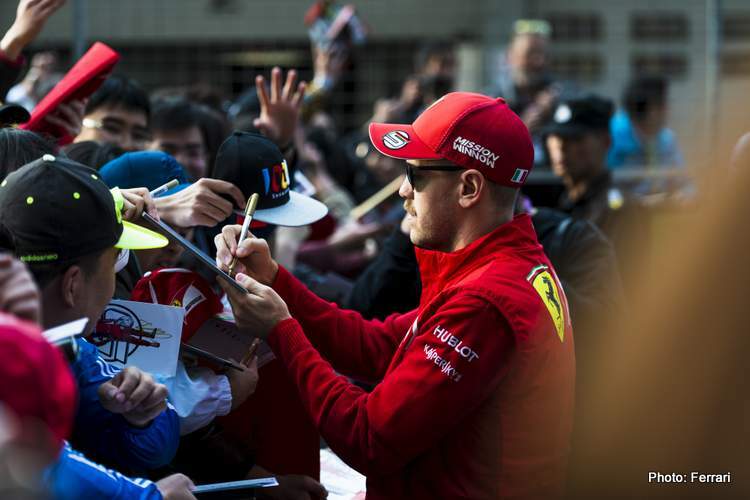 When a four-time Formula 1 World Champion speaks you listen, thus when Sebastian Vettel had a stab at the media when questioned from the floor, during the post-Chinese Grand Prix press conference, it revealed an interesting side to the German’s demeanour under pressure. That he is under pressure is obvious – even Ross Brawn reckons so – therefore the first rule in the ‘Celebs Under Media Scrutiny Manual’ is of course to attack the media and, as a result, the beleaguered VIP instantly gets 90% of the sympathy vote from the masses. Seb clearly has the manual. We are not alone in reporting that this is something of an ‘all or nothing season‘ for Seb, his fifth year for the Scuderia and the title is already edging out of reach and we are only three races into the new season. 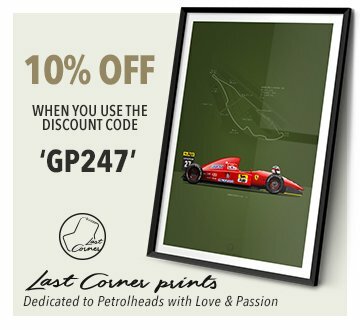 The background to his outburst is that he is having a torrid start to the season, first he faces the very real prospect of being bettered by teammate Charles Leclerc and, second, the fact that for a fifth season running the Reds have once again failed to provide him with a superior car. There is no doubt that Seb is a great race driver but he falls into the category of ‘great drivers that needs the best car to shine’ like no other can, but once they do not have the package built around them their greatness diminishes somewhat. He is in illustrious company as Jim Clark, Nigel Mansell and Jacques Villeneuve are also cut from the same nomex. In great cars, their majesty and greatness can flourish and is unmatched but anything less than a fantastic weapon becomes a problem. In contrast, there are those greats that no matter what you give them they will drive the wheels off it: Lewis Hamilton, Max Verstappen, Fernando Alonso, Gilles Villeneuve etc. Hence Seb’s four fantastic F1 World Championship winning years with Red Bull were the result of a great driver and the best car in harmony, with the German able to extract maximum from the near perfect packages he had at his disposal – which the RB6, RB7, RB8 and RB9 were. His teammate at the time Mark Webber could not match him. But when the RB10 came along, a car not to his liking, Seb was humbled by Daniel Ricciardo in 2014, coinciding with the new hybrid turbo engine rules. I would venture that this was the beginning of the German’s downfall because, to me, he has never really been comfortable with the technology and the way these cars are driven. But that’s a chapter for his book of excuses. From this side of the fence, I would imagine this is the consensus of the unbiased media brigade and neutral fans out there. There is no doubt that Seb is well respected but the reason he is copping flak from media and fans (them too) is because he is not delivering at the highest level AND, annoyingly, the fact that Ferrari are denying Charles Leclerc to blossom when the youngster is proving to be as fast, if not faster, than the man ten years his senior in the sister car. Although the subject is fodder for another Inside Line, facts are Ferrari are fumbling their driver management immensely. First in Australia and now, most blatantly and unashamedly, in China when they lobotomised Charles on the world stage with everyone watching. It was gory. Have you asked the team to ask Charles to let you past? If not, do you think it was fair to do that? Shots fired! In that para alone I am sure psychologists would have a field day. Even an armchair shrink would ask what was he doing thinking about the media when he should have been racing hard? Was that why he could not pull away when he told his team he was faster than his teammate and they gave him a free pass? Then in the next sentence, he blames all of the media – not cool – because apart from most of the Brit media posse with their tribal loyalties – he has many friends on our side of the fence. Credit to him and the smart chap that he is, he immediately realised the obvious faux pas, he then relented with “some of you” to soften the blow. I would imagine that Seb does not visit grandprix247.com, but clearly he reads the stuff out there, the media he is bitching about are the ones that are on his radar, which I imagine would be the heavy hitters of the industry. And history shows that messing with the Italian media has been the downfall of many at Maranello and to be honest they have been mighty kind on Seb considering the circumstances. But now questions are being asked, and Seb’s statements won’t be well received because the rough ride has hardly started. It is interesting that his gripe is with “all of you” (bad?) media people who by his account misinterpret him, twist his words, lose him in translation etc. Where have we heard that before? Are you not past it Seb?